This world famous reserve, almost 2 million hectares, is unrivalled in its’ variety of wildlife – 147 species of mammals and more than 500 species of bird recorded as well as 336 trees, 49 fish, 34 amphibians and 114 reptiles. 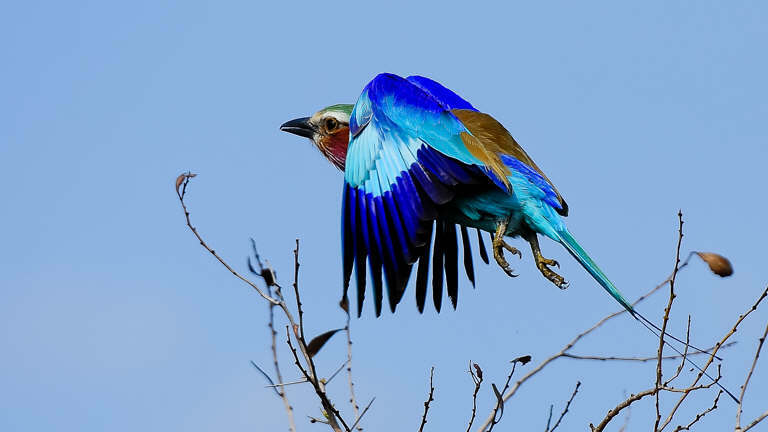 The Kruger Park, apart from having the highest mammal biodiversity of any protected areas in Africa, boasts a bird list in excess of 500 species. Birding is highly rewarding year-round with the peak during the wet summer months (Sep-Mar). 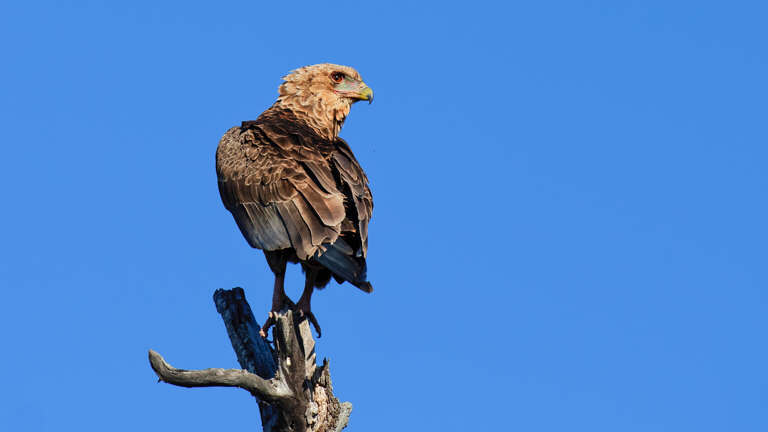 Travel with an experienced birding specialist and other bird enthusiasts on a full day safari in an open vehicle. The tour will be for birders only. The mountainous escarpment of Mpumalanga provides us with stunning views of the Lowveld. 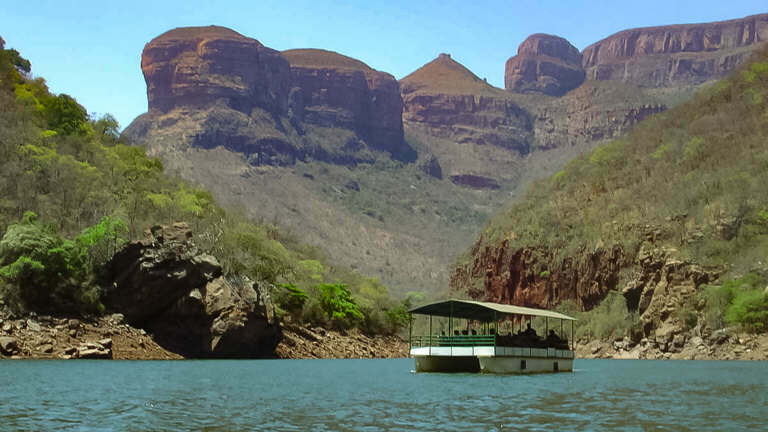 This wonderful full day tour includes sights such as God’s Window, with its spectacular views across the Lowveld, Bourke’s Luck Potholes, with its extraordinary rock formations, the Blyde River Canyon, one of the deepest canyons in the World, the famous Three Rondavels and quaint little town of Graskop. 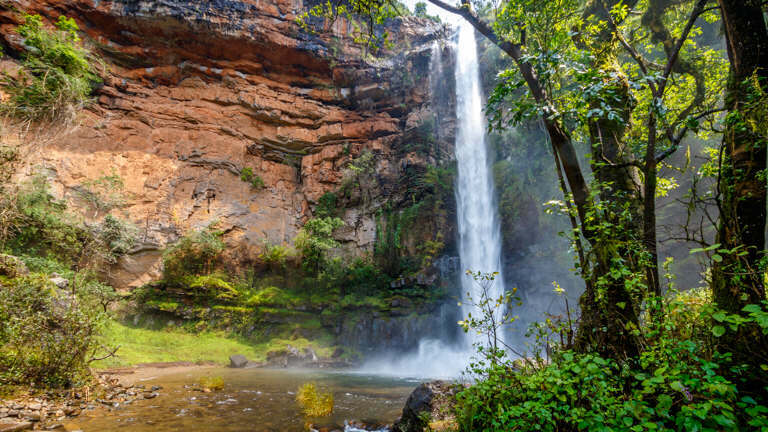 In the afternoon we visit one of the picturesque waterfalls outside Sabie. An excellent opportunity to see some of Mpumalanga’s most spectacular scenery. Lunch at renowned Harrie’s Pancakes in Graskop (own account). 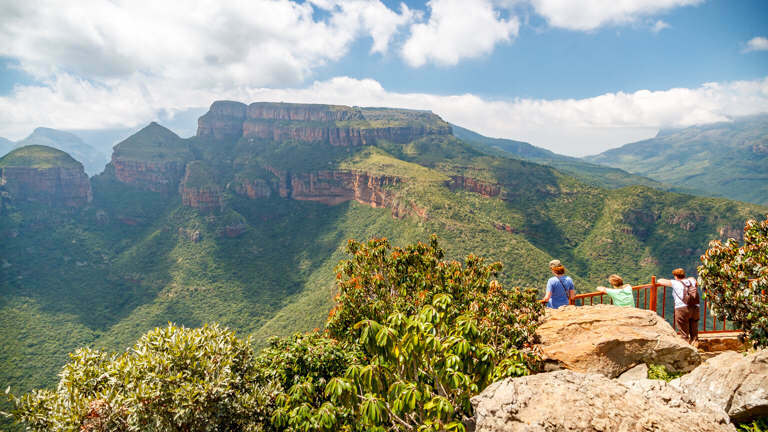 For those with limited time, this tour offers guests the opportunity to experience the highlights of the Panorama Route including Graskop, God’s Window, Lisbon Falls and the Blyde River Canyon. No meals included. 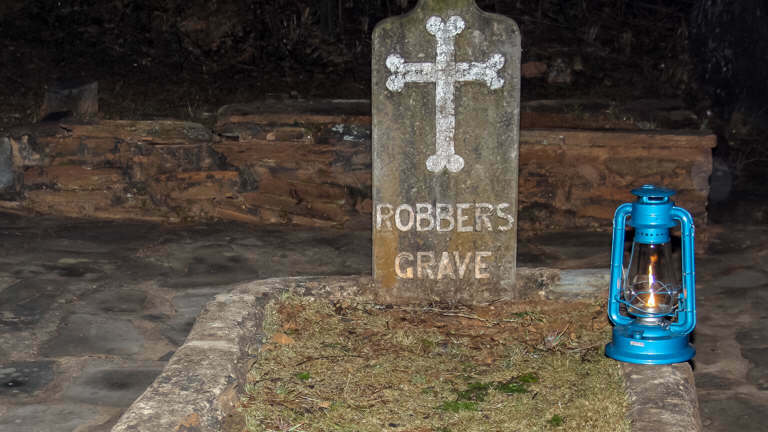 The Ghost Tour provides a fascinating insight into life (and occasionally death) in Pilgrim's Rest during its heyday in the Gold Rush. Starting with a look at Alanglade House, where the Barry’s, the mine manager and one of the town's wealthier families, lived a life of extreme comfort and entertained lavishly. We take a close look at their lives, their house and their furniture and hear about Mrs Barry as a society hostess and some of the important historical figures who stayed and dined here. 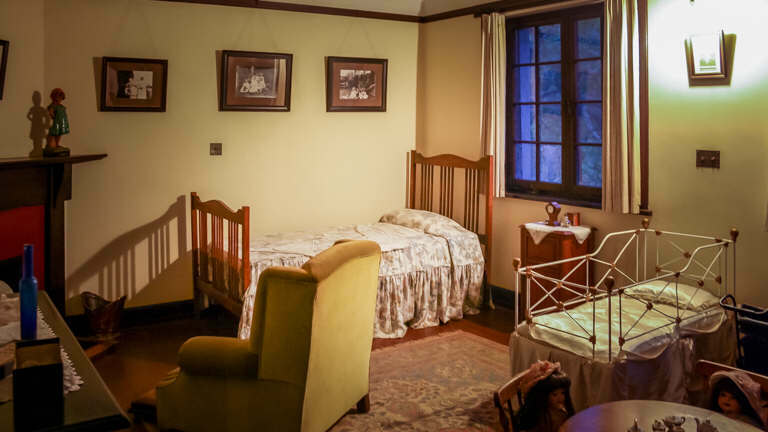 The house is believed to be haunted, as is much of the town, and during the tour, uncanny and inexplicable occurrences are common with almost all participants feeling a presence or awareness of something or someone from the past or from 'the other side'. Leaving the house after dusk, we head up to the cemetery, where, after a glass of sherry, we take a tour of some of the graves and find out about some of their occupants and their unusual lives and deaths. This is another eerie place and manifestations are frequent for those inclined to them and even to some more cynical souls! We stop for dinner at one of the towns’ restaurants before returning to Hazyview. Departing from Hazyview at around 09h00 we travel north towards Hoedspruit to the Blyde River Canyon for an alternative look at the Dam. We board the boat at 11h00 for an interpretive tour with a qualified site guide who will show you the rare, living Kadishi Tufa waterfall, which at 200m (660 feet) is the 2nd tallest Tufa waterfall on earth. 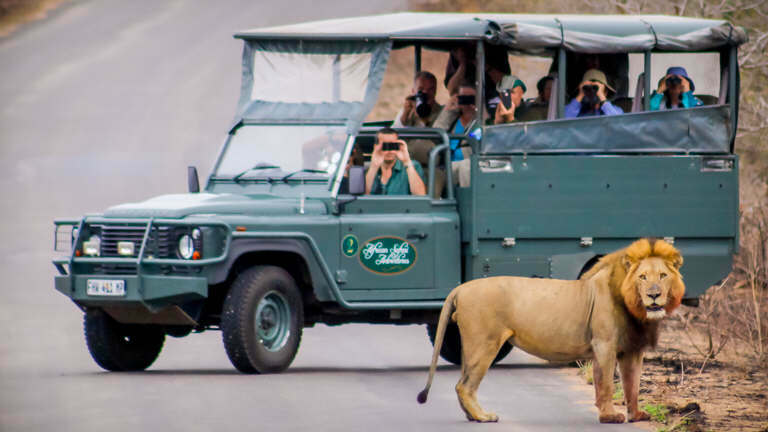 An abundance of wildlife, including hippos, crocodiles, primates and a diversity of birdlife, will keep you enthralled while learning more about the natural history of the Blyde Canyon. The Canyon is the 3rd largest in the World and is the largest “green canyon” due to the subtropical foliage. The cruise takes about 1.5hrs and is followed by lunch (own account) before we head to Moholoholo Rehabilitation Centre for their tour at 15h00. Their experts will take you around the centre where some of the animals and birds might be handled depending on their condition. Learn about the rehabilitation techniques and treatment of injured, poisoned and abandoned animals & birds of prey. Depart Moholoholo at around 16h30 for the journey back to Hazyview arriving at around 18h00. 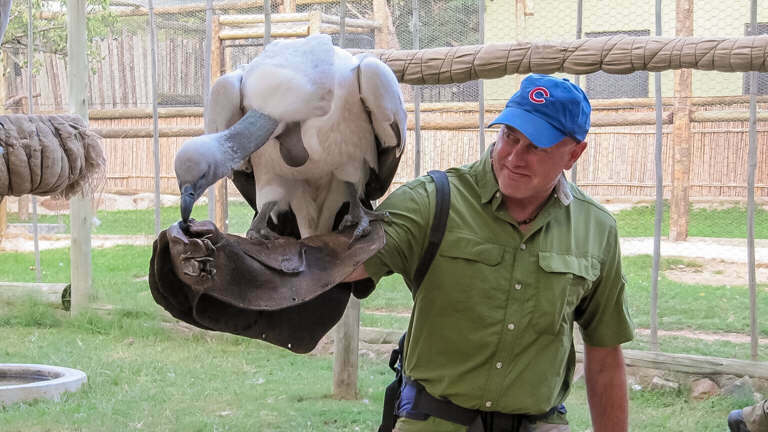 A unique tour where we visit two world renowned conservation centres who are successfully helping to preserve injured and endangered birds and animals. 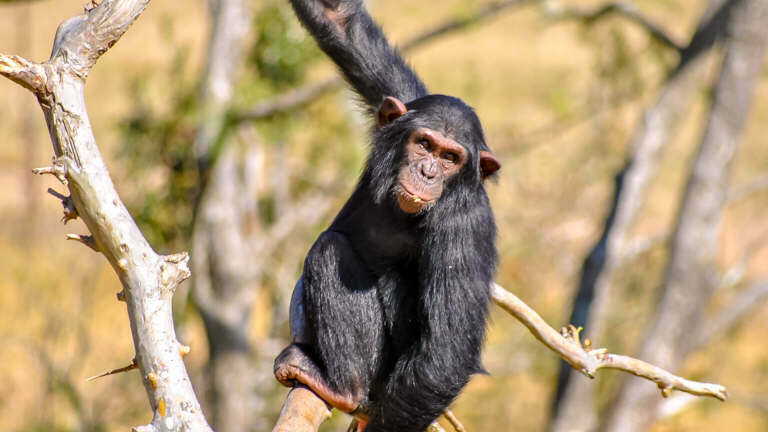 Depart from your hotel at around 08:00hrs and drive to the Moholoholo Animal Rehabilitation Centre near Hoedspruit, which has appeared on Animal Planet on several occasions. Let their experts take you around the centre where some of the animals and birds might be handled depending on their condition. Learn about the rehabilitation techniques and treatment of injured, poisoned and abandoned animals & birds of prey. Depart Moholoholo and transfer to the Hoedspruit Endangered Species Centre. On arrival, we stop for lunch (own account) before the educational tour of the breeding and research station during which you can view, from close up, rare, endangered species such as the African Wild Dog and Cheetahs. Return to your hotel at around 17:00hrs. This full day tour gives you an opportunity to assist in some of the local projects in and around the Hazyview area. During the South African school terms we will visit the Masoyi Home Based Care Life Skills Centre where young mothers and young people are being taught essential life skills. There are sewing and beading classes, as well as computer and carpentry courses and there will be an opportunity to buy some of the local craft items which are produced by the pupils at the Centre. We will then head to the nearby Lula Care Centre or K2 Care centre where we will assist with the lunch time feeding programme for the orphans and other vulnerable children. You then have a chance to enjoy a traditional local cuisine lunch before visiting the community gardens & building projects where you are welcome to get your hands dirty. A fascinating day tour to the mountainous kingdom of the Swazi’s, one of the longest standing dynasties in Africa. Ruled since 1986 by their current King, Mswati III, who is also famous for having 14 wives!! The Swazi people are well known for their friendly and welcoming nature. The country consists of lush & fertile valleys and magnificent mountain scenery. See the Maguga Dam, the Nsangwini Rock Art, the Swazi Market, the Candle Factory, Mantenga Craft Centre and Ngwenya Glass. PLEASE NOTE: We enter Swaziland at Jeppe’s Reef which is not one of the busiest border posts so crossing here should not take too long. Please advise nationality at the time of booking so that we can check if you need a visa. The vibrant city of Maputo, once known as Lourenco Marques, is a city steeped in history, both European and African. The Portuguese started trading here in 1545 and the Dutch East India Company in 1720. Then the British tried to set up a trading post in 1776 but the mosquitoes got the better of them! The Portuguese came back again in 1782 but were defeated by the English, the French came in 1792 and the Portuguese came back again in 1799!! You can see all their different cultural influences while you drive around the city but Maputo is overall an African city with a great vibe. Starting at the border post of Ressano Garcia, this is where the “culture” begins! Crossing here can take 30 mins or 2 hours, depending on how busy the border is. We do not recommend these tours during public or school holidays as the queues can be several kilometres long! From the border to the city, the drive is an easy one that takes about an hour. On arrival we stop at a sidewalk coffee house for refreshments before commencing our tour which will include downtown Maputo, the Marginal, the Casa de Ferro (house of iron), which was designed by Gustav Eiffel, the Catholic Cathedral, the Mercado Municipal (Municipal Market), the Railway Station and the Fort of Nossa Senhora de Conceicao (our lady of conception), built in 1781. We then go for lunch (own account) at the famous Costa do Sol Restaurant at the end of the Marginal, where they serve some of the best seafood in Maputo. This is a long day but definitely well worth the visit. PLEASE NOTE: Visas are required by all passport holders, apart from South Africans, but these can be purchased at the border. 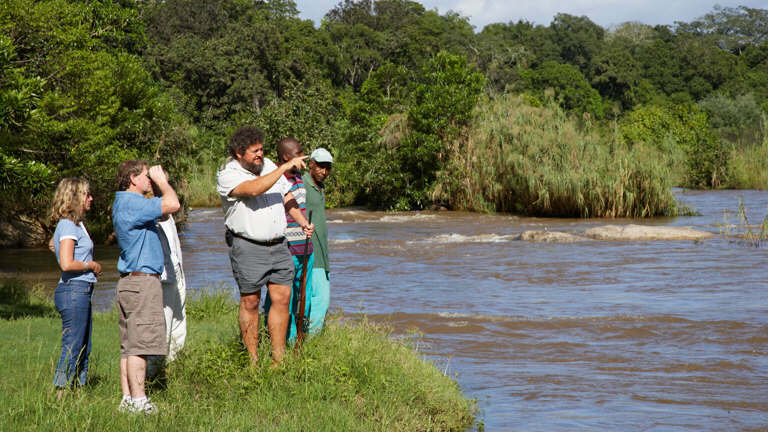 Guests are transferred to the world famous Kruger National Park where a National Parks Trails Ranger is ready to introduce you to a number of skills including tracking, the use of plants and trees in medicine, as well as bird and animal identification. These Rangers are amongst the most qualified and experienced in Southern Africa and have a wealth of knowledge and experience. Walks are conducted in the wilderness areas of the Kruger, in particular, an area that is renowned for its rhino population, so a “Big 5” sighting is always a possibility. A short game drive to and from the walking area adds to the excitement of the day. Snacks & drinks included. Experience the thrill of the African bush as day changes to night in the Kruger National Park. In the company of an expert National Parks Ranger, your safari begins with drinks and sundowners and a beautiful African sunset. As night falls, we turn on our spotlight and go in search for Africa’s “Big 5”. 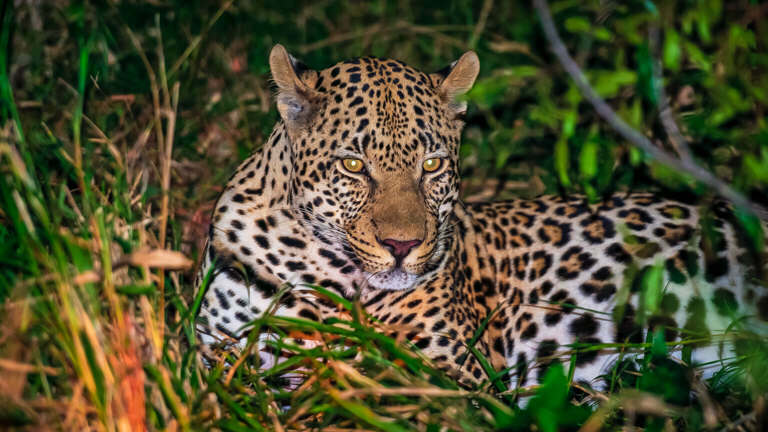 From the comfort of an open safari vehicle, you are likely to see some of Africa’s more unusual nocturnal animals.